Below we discuss the options for retiring to South Africa as a spouse of a South African. This information also includes those who are in a permanent relationship but not married. You may have spent years abroad supporting your partner but now it’s retirement time the ‘motherland’ is calling and you have both made the decision to come home to South Africa. Waiting for you will be the 25000 hours of sunshine, over 1000 wine farms and thousands of kilometres is sand beaches – and of course… that special South African Ubuntu. But what permit options are available to you and how difficult is it? Can you retire to South Africa as a foreign partner? Let’s start with the good news – yes you can. The permit itself would either be a Spousal permit if you have been married or as a Life Partner permit if you are not married. Whilst the criteria is fairly straightforward the application process does have its challenges as with any application to immigrate to South Africa. 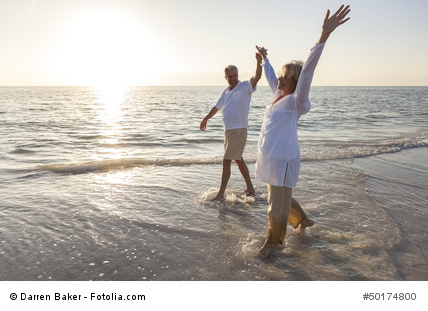 Further good news is that you do not have to apply for a retired permit, when retiring to South Africa as the spouse of South African citizen, or Permanent Residence holder. You can apply rather for permanent residency (Spousal or Life Partner Permit) or temporary residency (Spousal or Life Partner visa) under the partner permit category. A permanent residency spousal permit open for application from those who have been married to a South African citizen, or permanent residency holder, for more than 5 years. A permanent residency life partner permit – open for application from those who have not been married to a South African citizen, or permanent residency holder, but are in a permanent relationship with one for more than 5 years. Intergate Immigration has assisted thousands of homecomers to return to South Africa, be it for work, business, family or retiring. We take pride in our position as the official partner of Home Coming revolution and offer a free consultation and eligibility assessment to all enquires received.